The first JuntoClass of each cohort is called Hiring, Managing & Firing. This is intentional because the focus of our Apprenticeship program is on leadership, people, and culture, and this class is the ideal starting point. By setting this tone, the companies in the program are then comfortable bringing up the topic in their Mentor Team sessions, Tutoring Roundtables, and Forum sessions (not to mention that it comes up organically in other classes). And because I get to sit in on most of these sessions, I continue to learn key lessons and proven practices regarding the hiring and firing process. Here are the four key lessons I’ve learned, which may serve as either new ideas or helpful reminders as you are growing your company. A common theme that I’ve heard is to take time in the hiring process. In a small company, each hire is critical as he/she will have a strong presence and high impact regardless of the position. One thing I have observed is that companies increasingly hire based on culture fit. They believe that tactical skills can be taught, whereas personality and culture fit are harder to teach and, therefore, are pursued from the beginning of the hiring process. Salaries are often the largest expense for small, growing organizations, so investing in the team is important on the front end. If a new hire does not work out or fit within the organization, that is an expensive mistake, not only from a monetary standpoint, but from a time standpoint. For a small, growing company, every hour is precious so anytime an employee doesn’t work out, that is time and money down the drain. So if a company views the hiring process as an investment, it can potentially result in better outcomes. When he taught our Hiring, Managing and Firing class a few months ago in Chicago, Adam Robinson, CEO of Hireology, posed the following question: “How long does it take for the new hire to return money to the business?” This question resonated with me quite a bit, not only from an employer’s perspective but also as an employee. I want to ensure that not only am I allowing my employer, Junto, to justify the cost they are incurring with my employment, but I want to return it back indefinitely. One thing that opened my eyes was that the "hiring" process can begin before the organization even decides they need to hire someone. This happens through the company branding itself to prospective customers or possibly those who are looking for a new role/position. I’ve learned that when this is done effectively through a careers page on its web site or actively managing its GlassDoor reviews, it can attract better talent for open positions. Another interesting lesson I’ve learned is to offer the applicant what they want, assuming of course it is something you are able to give. Different applicants will desire different benefits or compensation packages. The average Millennial these days values benefits such as career growth and development, training, and work-life balance, whereas others may value a steady paycheck, 401K, and health insurance. Being able to understand the audience you are pitching to when hiring can give your company an advantage because you can appeal to their desires. My experience interviewing with Junto was most definitely a process rather than an action. My first round interview was a relatively short one-on-one conversation with Catherine, one of Junto’s co-founders. It was a chance for each of us to get a sense of one another and assess if there could be a potential fit. My second round interview was two-fold. The first portion was a meeting with the rest of the team and the questions went a bit deeper. After that, I performed a typing speed test and completed a mock Mentor Meeting note-taking session (these are fundamental parts of my role). It wasn’t until after I completed that portion that I was able to see myself as a part of the organization. These exercises gave me a window into what I could be doing for The Junto Institute, and I was comfortable knowing that that would be a key piece of my role starting out. To this day I’m thankful for that testing because it set my expectations right up front before I was even offered a position. The last piece of the puzzle was sending a list of references to the team so they could further vet me. I put a great deal of thought into who I chose for this. I wanted to send a list of people that I had worked in different capacities with to show my work ethic on different levels, in different roles, to further prove my capabilities. Something I have observed and learned about unproductive workers is, aside from not getting the work done, they can and usually do have a negative impact on culture and morale. In a small organization, it’s common that each team member wears multiple hats. When the whole team is working as hard as they can and one does not, it can be demotivating and frustrating for the other team members. I’ve heard many times that once that is sensed, it is time to let the person go. An approach I’ve seen used many times is to put the employee on a performance plan. In these plans they are given a goal or metric to hit within a given time to evaluate their performance. Interestingly enough, I’ve heard mixed reviews about performance plans. Some companies like to use them as a way to give the employees a last chance to prove themselves and see what is coming. On the other hand, some have said it just prolongs the inevitable and creates a stressful time for the employee and the employer. I personally agree with the former but I can see both sides of the argument. 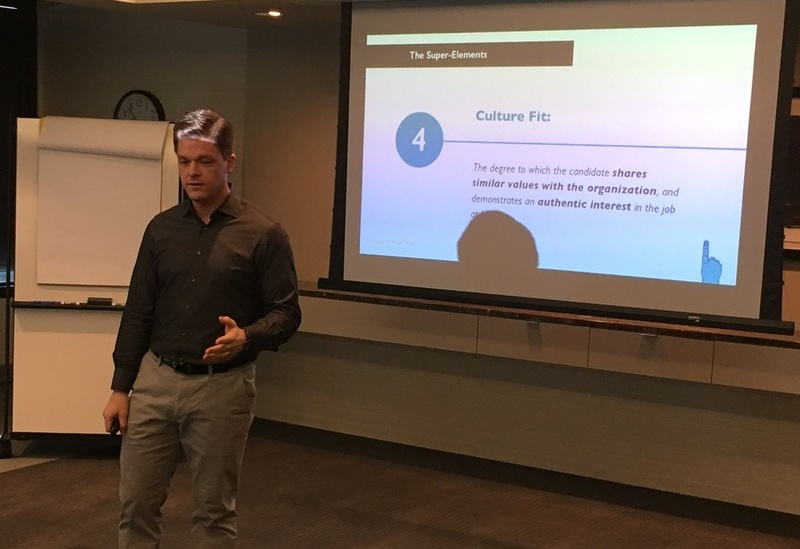 One of the Classes in our Apprenticeship program is Company Culture, led by Tom Walter, who at one point steps out of the room and brings in a panel of employees to speak openly and candidly about the company’s culture. During this panel, Tom’s daughter Erin said something that seemed to click with the Junto Apprentices: “The culture is what runs the company. 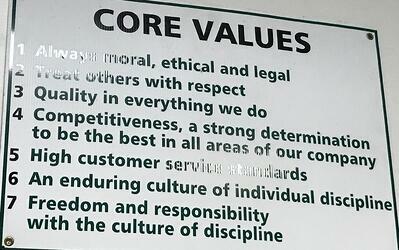 The hiring and firing is done by the values. If I haven’t seen any issues and someone gets fired, I would trust that it was because those values are compromised.” Something that I’ve been inspired by is companies that live strongly by their values. When the values are lived to their fullest, decisions such as firing an employee can be easier to make. Whenever a company has brought up the topic of firing an employee, one of the first clarifying questions asked is, “Will this person be surprised?” If the answer is no, that is usually the green light to go ahead. If the answer is yes, further discussion and clarification occurs. Often times when the answer is yes, the company is asked to further clarify the issue with the team member. The explanation is often followed by words of caution from the Mentors. One thing I’ve witnessed many times is an immense level of care companies have for their team members. A firing decision is quite emotional for them because they enjoy the team member as a person, but for one reason or another, the person may not fit in the company anymore. Therefore, another reason that companies try to avoid a surprise is to simply treat the person with respect and dignity. Another common theme that I’ve observed is to document conversations and actions. Often times people will say they keep a folder in their email account and put all communication there just in case it is needed. In the follow-up email, the conversation is recapped and important action items or topics are written out. At the end of the email, it is signed, saying please confirm that you have read and agreed with the recap. Then, the email chain is tucked away into the folder in case it is needed later on.